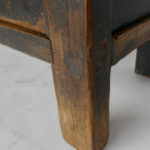 SKU: 50-139. 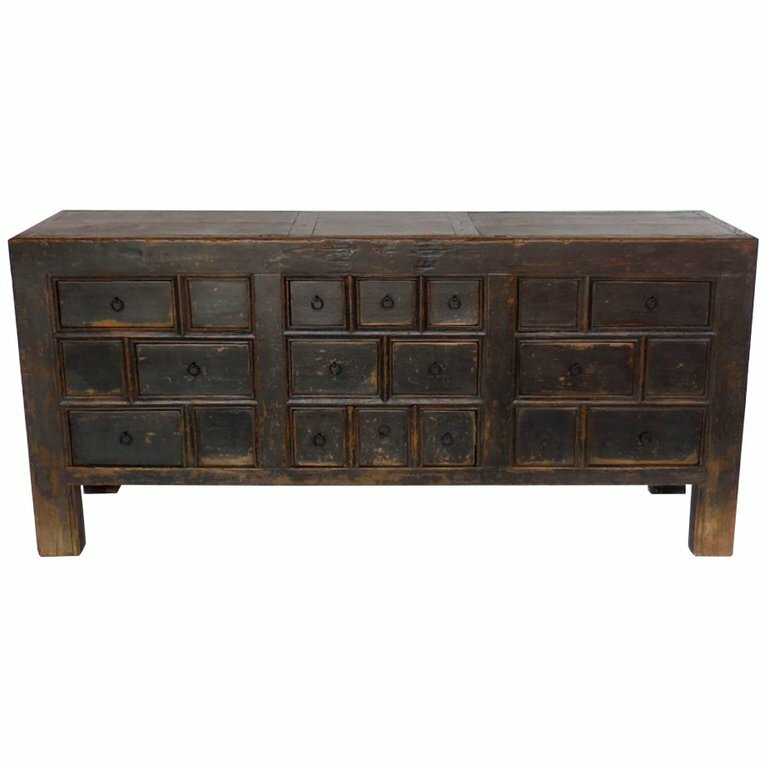 Categories: Console Tables, Casegoods. 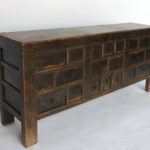 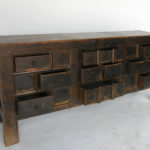 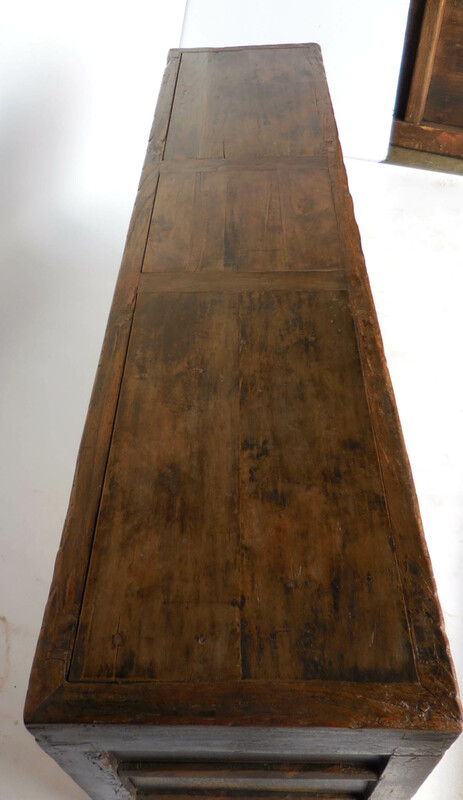 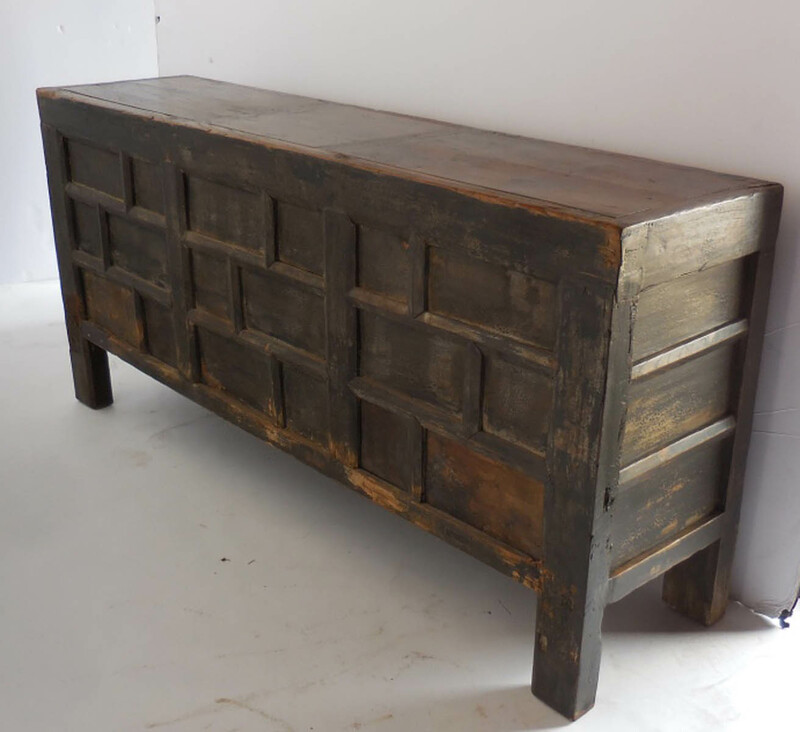 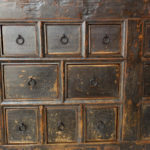 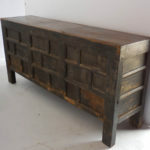 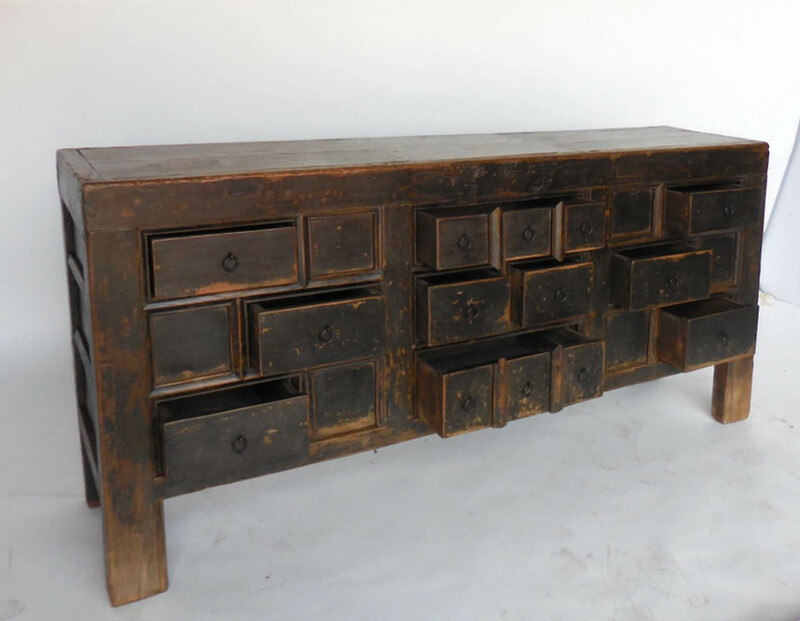 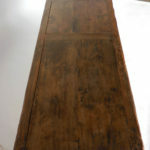 19th century elm chest with natural dark patina. 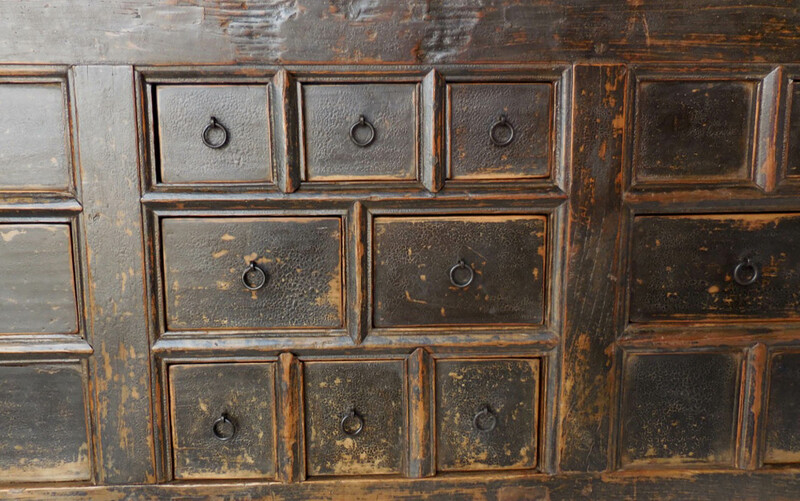 All original. 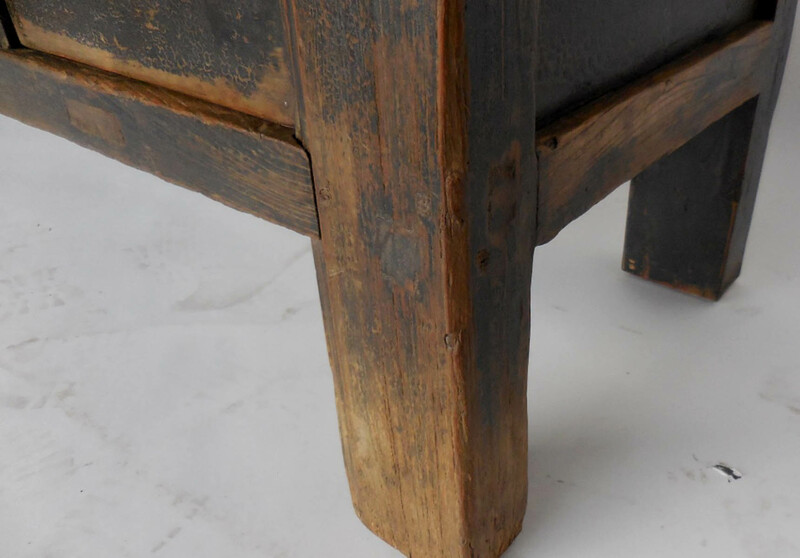 Dovetailed throughout. 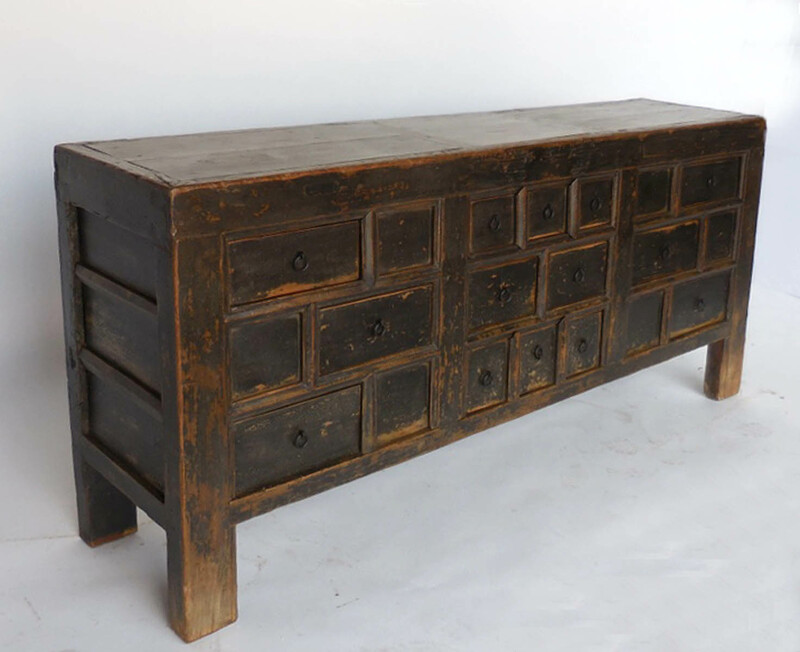 Natural dark cracking on face of drawers, top is naturally worn to a natural elmwood which is smooth and patinated beautifully. 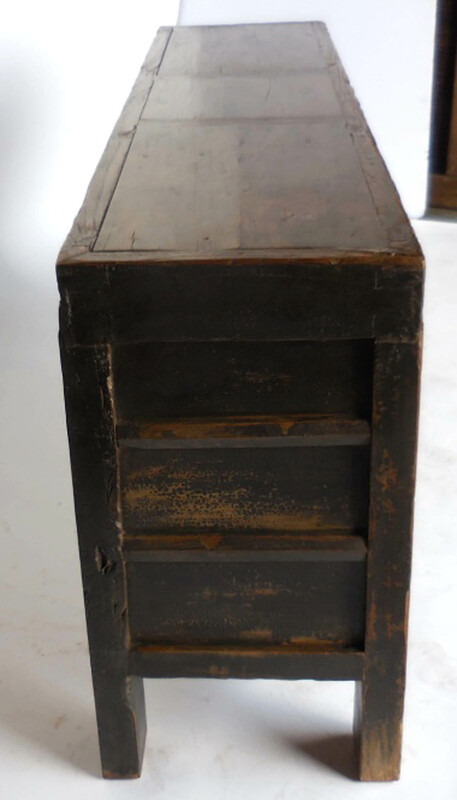 The back of the chest is finished and could float in a room. 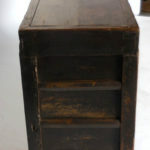 This handsome chest is fully functional and ready to be installed and used.